I have very fond, if slightly hazy, memories of Kölsch from my student days working on building sites in Germany. If you were in Düsselfdorf, you drank Altbier, a copper-coloured fruity beer. If you were a little further south in Köln (or Cologne) you drank Kölsch. You were treated with contempt if you asked for Kölsch in Düsseldorf or an Alt in Köln. Kölsch is pale-coloured, like a lager, but top-fermented like an ale. It is light with a delicate fruitiness and subtle malt flavours. It is not an easy beer to produce but a few craft breweries around the world have tried their hand at it including, now, one in Ireland. David and Martina Rogers emigrated to Sydney in 2004 as backpackers with a difference – David was an engineer with a residence permit. He started working with Tooheys Brewery, one of the largest in Australia. Included in his work description was “must be able to taste beer at 6.00am every morning”. He qualified as a master brewer in 2013. 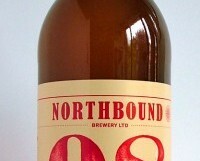 Drawn back by family ties and the beaches of Donegal, they returned to Ireland and set up Northbound brewery in Derry. To keep things going, David consults with breweries and distilleries in Ireland and Scotland. In Sydney, Martina worked in sales; here she does “everything the master brewer doesn’t want to do”. The brewery took two years to set up. “We are coming out of the madness I hope,” says Martina, “We bought our first house, had our third child and took delivery of the brewery in a very short space of time”. Their Kölsch is very good, with subtle malts and a refreshing crisp edge. It brought me straight back to Germany and those building sites. Mine was sourced in Whelehan’s, Loughlinstown.